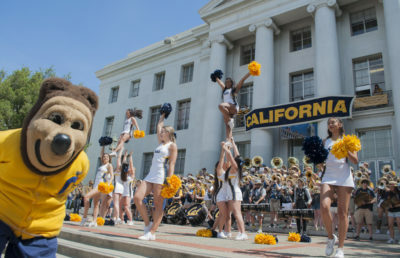 Teamsters Local 2010 staged a brief protest in front of California Hall on Wednesday demanding living wages and greater pension benefits for future UC workers. 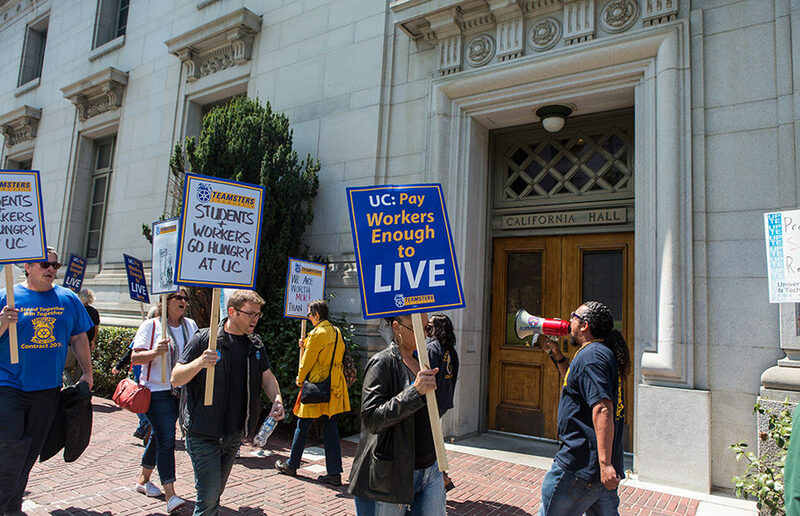 At its height, approximately 20 members of the union — which represents thousands of employees throughout the UC system — picketed California Hall in favor of increased wages and pension benefits for future UC workers. 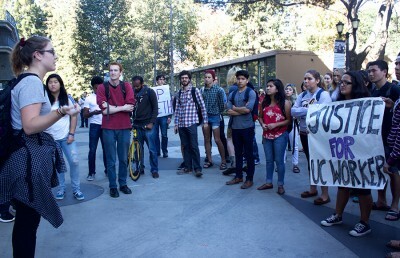 The demonstration emerged amid ongoing collective bargaining negotiations between the university and unions representing UC workers. 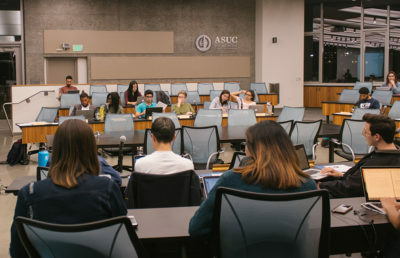 The UC Board of Regents approved at its March meeting a new retirement program for incoming UC employees in the interest of the university’s long-term financial stability. 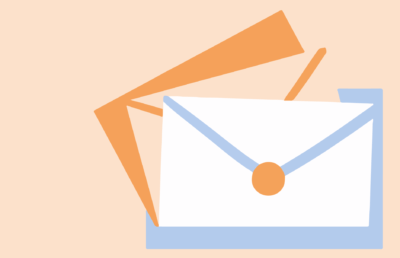 The plan, which affects UC employees hired after July 1, offers employees the choice of two pension plans — one a hybrid of defined benefits with 401(k)-style supplemental benefits and the other a stand-alone 401(k)-style plan, according to the UCOP website. 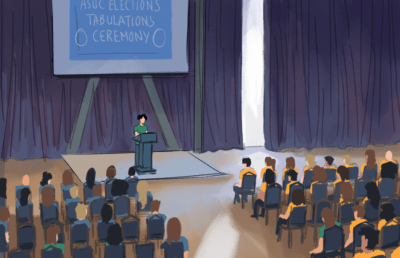 For union-represented UC employees, retirement benefits are traditionally determined through collective bargaining. 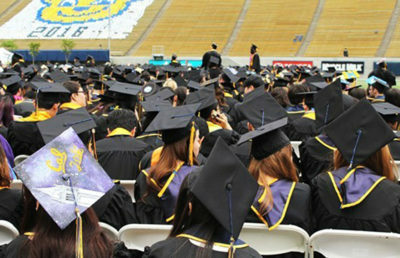 As part of an agreement last year between UC President Janet Napolitano and Gov. 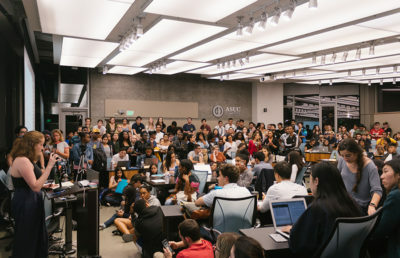 Jerry Brown to avoid tuition increases, however, the university agreed to cap pensionable earnings on these employees in exchange for an infusion of $436 million in state funds toward the UC’s pension plan. 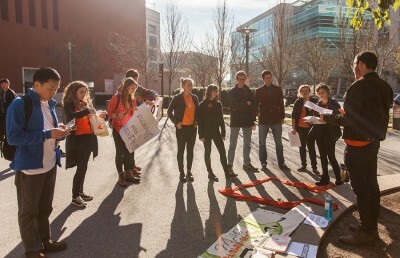 Protesters that gathered Wednesday said they were skeptical of the current proposal’s ability to provide sufficient retirement income for new UC employees because of the plan’s reliance on a 401(k)-style contribution rather than a guaranteed level of retirement income. 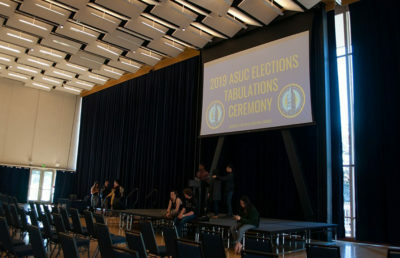 Both of the plans’ options have come under fire from unions and some campus faculty, who view a robust pension benefits plan as playing a crucial role in attracting talent to UC Berkeley that would otherwise prefer private universities offering higher salaries. 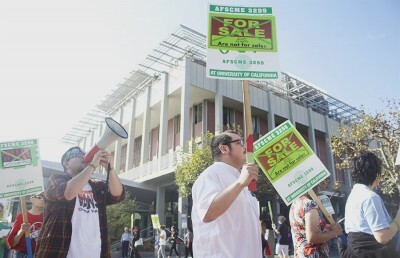 Protesters said they were dissatisfied with a proposal from the university earlier this month that union members said would raise UC employees’ salaries by 1.5 percent over the next few years, in light of the rising costs of living in the Bay Area. 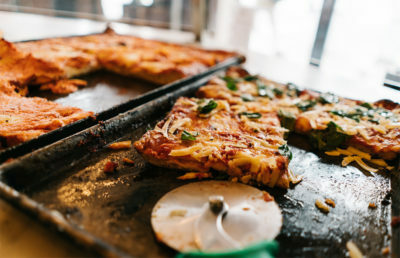 Last July, as part of the Fair Wage/Fair Work Plan, the university announced it will gradually raise the minimum wage for employees who work more than 20 hours a week to $15 in comparison to the state level at the time of $9, according to the University of California Office of the President website. 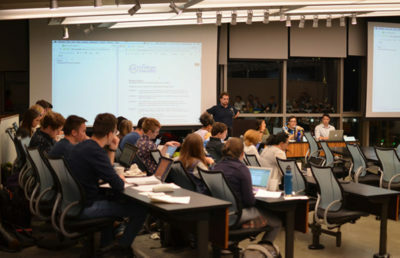 Still, Erazo characterized current negotiations as “night and day” and said more progress has been made thus far in negotiations compared with previous efforts with the university. 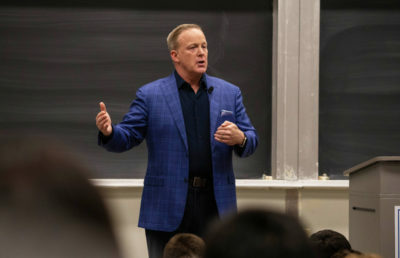 Elliott Smith, campus program manager for Canadian studies, said he did just that when he moved to Berkeley last year after a previous position at Western Washington University — taking a 2 percent pay cut and 35 percent rent increase, he added. 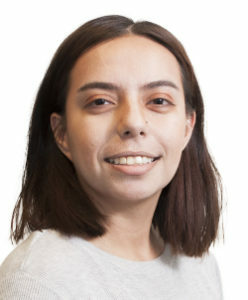 Alexander Barreira is the university news editor. 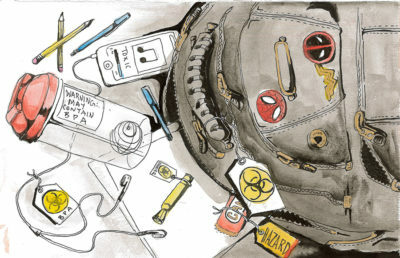 Contact him at [email protected] and follow him on Twitter at @abarreira_dc.